The first race was sailed on Saturday, October 7, in rather a light wind. The yachts started off from the New York lightship, dead before the wind, both yachts setting spinnakers as they started. Our large illustration shows this start from an unusually fine photograph taken by our artist. 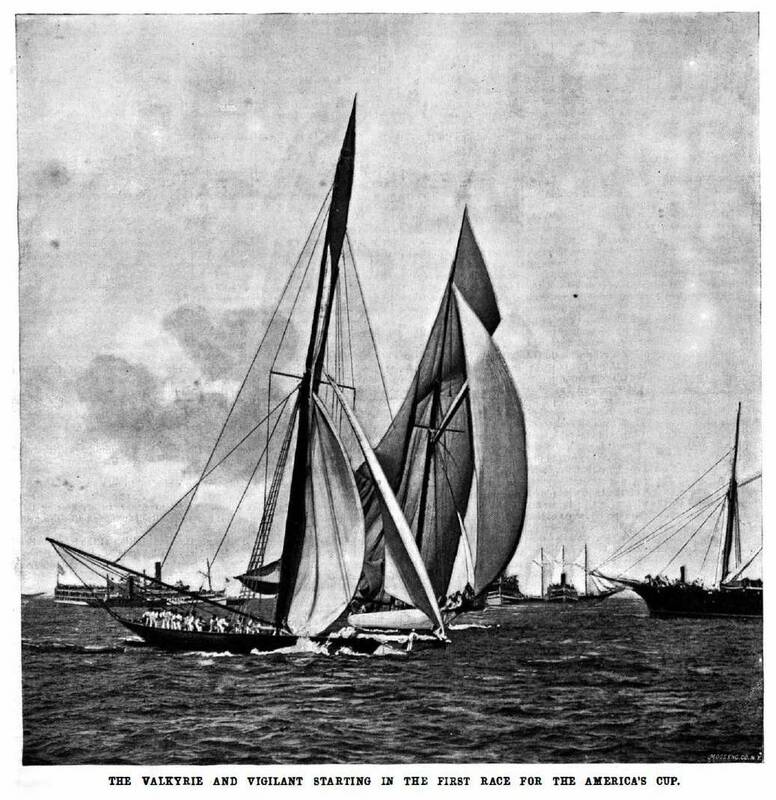 The white yacht, the Vigilant, the representative of America, with her spinnaker almost spread, is crossing the line in company with the Valkyrie in the same condition.